It is tough to eat locally in the winter. Squash, greens, root vegetables, and sweet potatoes–that about sums up the winter harvest that starts in November and takes us into early March. It’s a long time to eat the same thing over and over again. Being creative is the key to embracing the limited choices at the winter farmers markets. So, let’s talk squash. 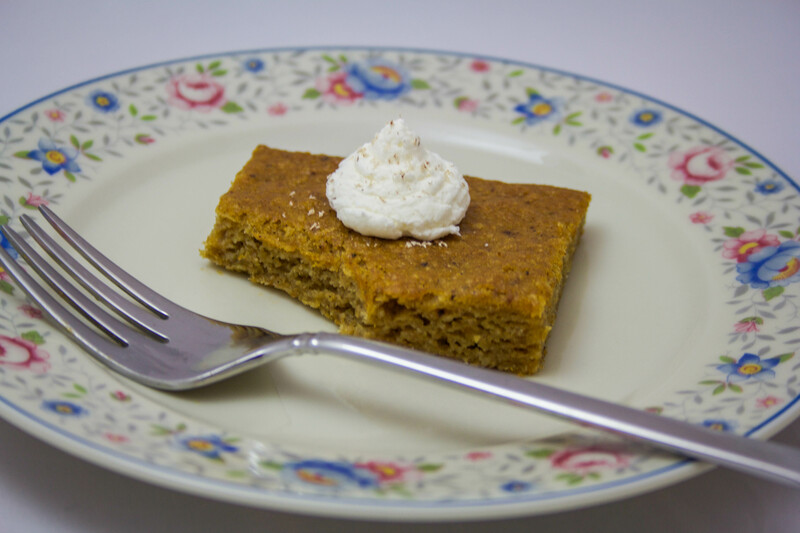 Acorn squash has a similar taste, texture, and sweetness to pumpkin, so why not use it for desserts? It will be around long after the pumpkins are gone from the market tables. If the urge hits you to bake more pumpkin bread in January, you don’t have to turn to the canned stuff. You can use acorn squash or butternut, too. As for for the gluten, I am not a gluten-free eater. I love bread. I love pastries. I love pasta. I am thankful that I can eat these things without issue. I know many people who cannot. Eating gluten is harmful to them. Gluten-free is more than a fad or a choice. For many people, it is a health issue. I have had some amazing gluten-free pastries and cookies. I am still learning how to adapt recipes to make them without wheat flour. I have found that almond meal or almond flour works well for more dense cakes like these bars. My family had no idea these were gluten-free when they devoured the first batch. I’d call that a success! Place dry ingredients: almond flour, arrowroot, baking soda, salt, and spices in a bowl. Using a whisk, combine thoroughly. In another bowl, combine squash puree, brown sugar, eggs, and vanilla. Add the wet ingredients to the dry ingredients and stir to incorporate. Line an 8×8-baking pan with parchment paper. Pour batter into the pan and spread evenly. Bake for 20-25 minutes until springs back when lightly touched. Cool on a rack. When completely cooled, cut into squares. Place ingredients in a chilled mixing bowl and whip until stiff peaks form. Spoon into a piping bag with a star tip. Pipe on to each bar. Grate a little nutmeg or sprinkle a pinch of cinnamon over the top and serve! The idea is based on the old-fashioned progressive dinner party, in which you’d eat each course at a different guest’s home. Each blogger is bringing one or more dishes to the party on Monday, Wednesday and Friday of this week, so be sure to stop by each one and get some ideas for your own Thanksgiving meal. Today’s bloggers have recipes for dessert and after-dinner drinks, as well as ideas for eating leftovers. 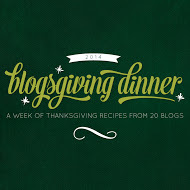 We’ll be posting to social media with the hashtag #blogsgivingdinner. Hope you can join us! 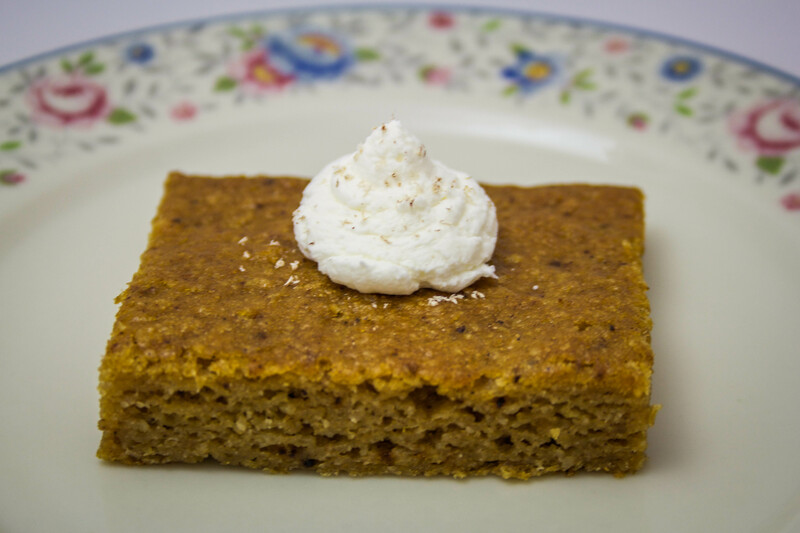 Gluten-Free Acorn Squash Spice Bars from I Cook. I Eat. It’s Life. A Thanksgiving staple in our home growing up was sweet potatoes with toasted marshmallow topping. The sweet potatoes were actually yams..from a can. My mother doctored them with extra brown sugar and butter. Then, she adorned them with mounds of marshmallows and carefully toasted them under the broiler. It was a family favorite. I have graduated to a more homemade sweet potato side dish albeit one that is just as sweet as my mom’s old standby. I believe you need a little sweet on your plate at Thanksgiving–but don’t eat too much–save room for the pie! Peel the sweet potatoes and cut into cubes. Place in a stockpot of water and bring to a boil. Boil for 15-20 minutes or until the sweet potatoes are fork tender. Drain and place in a food processor. Process the sweet potatoes until smooth. Pour into a bowl and add the butter, spices, salt, and maple syrup. Spread the mixture into a 12″ cast iron skillet or 9×9 baking dish. Mix the pecans, brown sugar. Sprinkle over the sweet potato mixture. 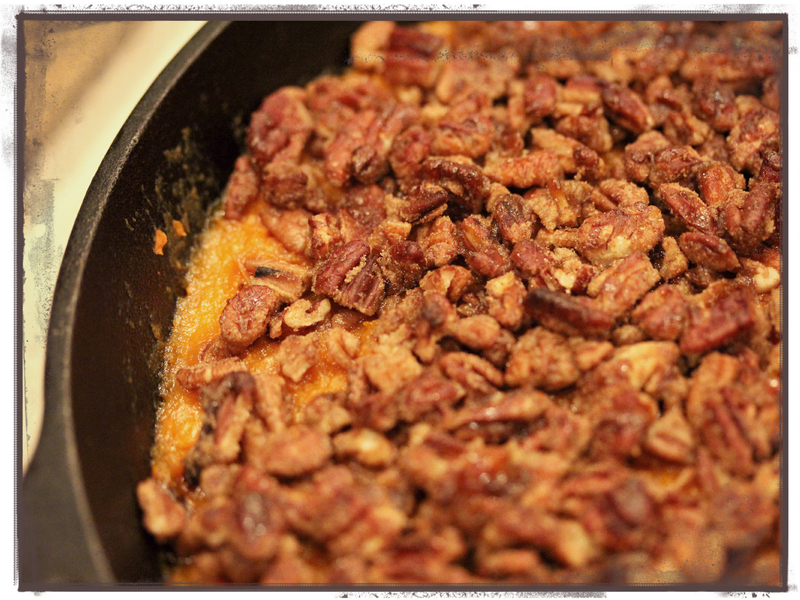 Bake in a 350 F oven for 25-30 minutes or until sweet potatoes are bubbly and pecans are toasted. The idea is based on the old-fashioned progressive dinner party, in which you’d eat each course at a different guest’s home. Each blogger is bringing one or more dishes to the party on Monday, Wednesday and Friday of this week, so be sure to stop by each one and get some ideas for your own Thanksgiving meal. Be sure to check out today’s recipes for entrees, salads and side dishes. Sweet Potato Crunch from I Cook. I Eat. It’s Life. Happy Blogsgiving! What is that, you say? It’s a pre-Thanksgiving blogging event that takes place this week. I am honored to participate. I am certain you will enjoy meeting the other bloggers and love the great recipes they are sharing, so be sure to read down to the end of the page. Now…on to the cocktail! This cocktail is so simple it is almost criminal…seriously, S-I-M-P-L-E. This is mainly because the liqueur of choice is The Brothers Vilgalys’ wonderful elixir, Krupnikas Spiced Honey Liqueur. It has become the Thanksgiving cocktail of choice in our family since we discovered it two years ago. It has all of the flavors of fall and packs enough punch to make you forget any drama that may happen around the Thanksgiving table when the whole family comes together. Trust me, this…I know. 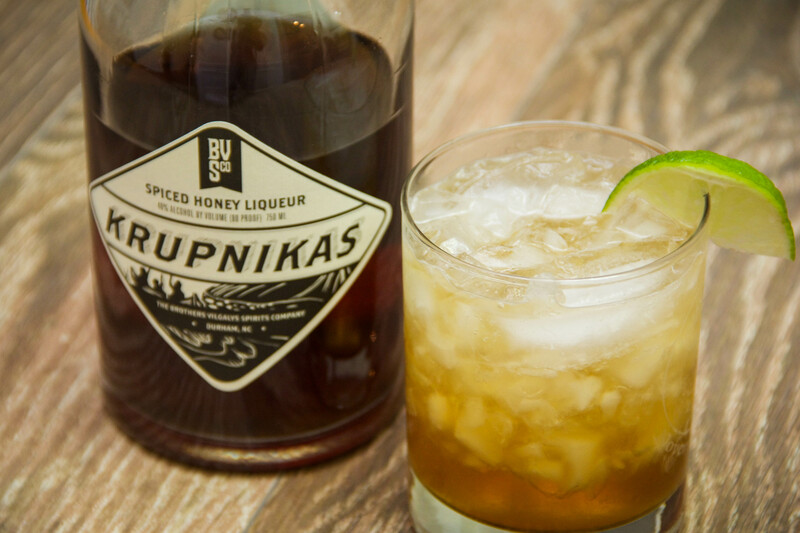 If you don’t have access to Krupnikas (I am so sorry), you could use vodka and spiced honey simple syrup. The key to using these ingredients is steeping the spices in the honey simple syrup for a long time. You want the spices to be bold in this cocktail. After all, it’s Thanksgiving—the holiday celebrated with cinnamon, clove, ginger, and nutmeg. Cheers! 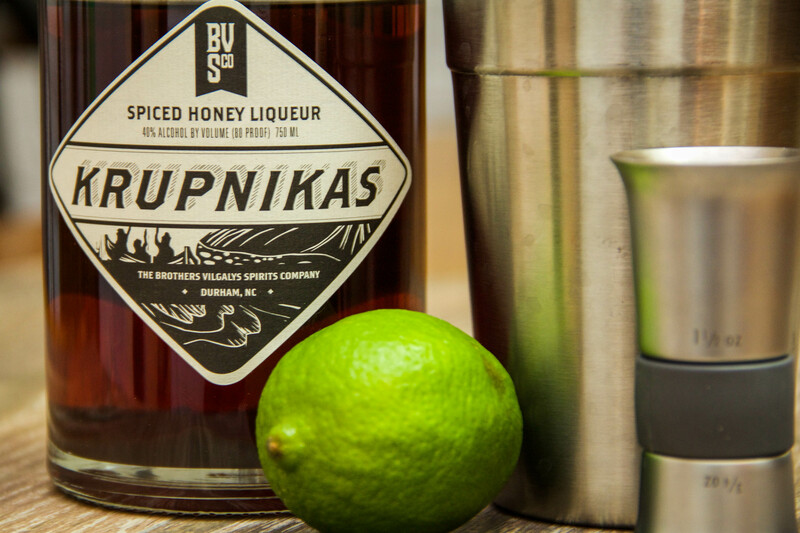 Place the Krupnikas Honey Liqueur and lime wedge into a cocktail shaker filled with ice. Shake vigorously for 10-15 seconds. Strain into a glass filled with ice and add the ginger beer. Stir gently and garnish with a slice of lime. The idea is based on the old-fashioned progressive dinner party, in which you’d eat each course at a different guest’s home. Each blogger is bringing one or more dishes to the party on Monday, Wednesday and Friday of this week, so be sure to stop by each one and get some ideas for your own Thanksgiving meal. Today’s courses include cocktails, hors d’oeuvres and soup. Krupnikas Ginger from I Cook. I Eat. It’s Life. 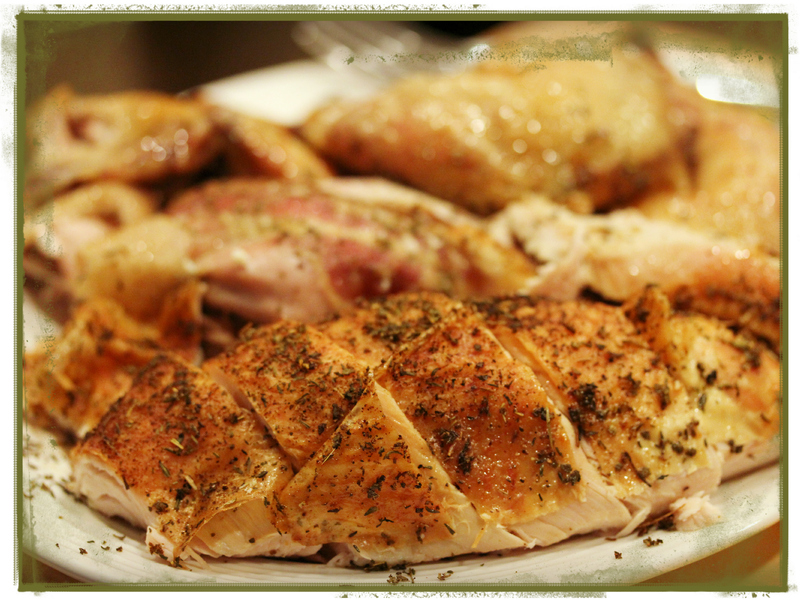 Thanksgiving–what a perfect day to start a blog about food! I mean, come on…it IS all about the food. I am quite traditional when it comes to the Thanksgiving meal. I make what my mom always made. You know, the usual: roast turkey, stuffing (or dressing, depending on where you grew up), sweet potatoes, mashed potatoes, green bean casserole, and dinner rolls. 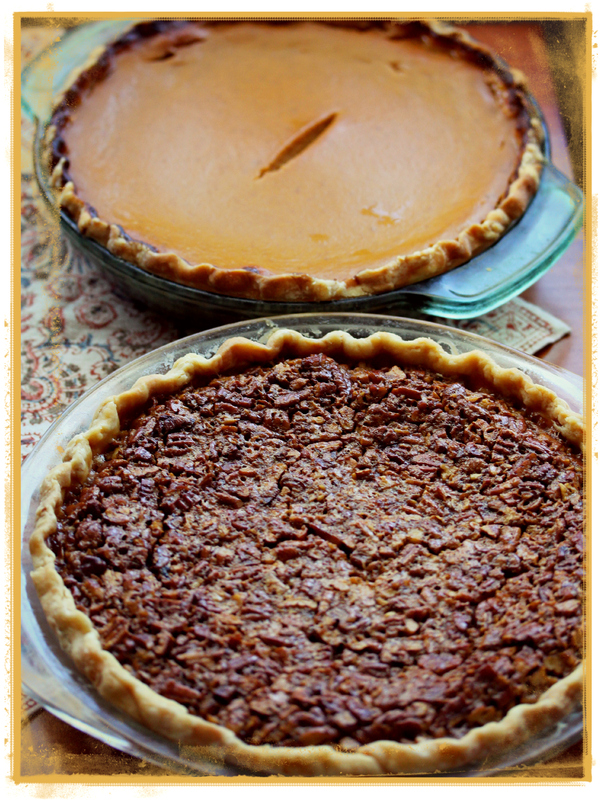 Then there are the pies: pumpkin and pecan…always pecan. This year, I asked the pro (aka Mom) to make the pies so I could focus on the meal. It was smart request and lowered my stress level immensely. Her pecan pie is legendary among family and friends. It always comes out perfect and it makes the best post-Thanksgiving breakfast ever! I hope your Thanksgiving was as delicious and memory-filled as mine. I am thankful for the opportunity to share mine with you. Until we cook again…. 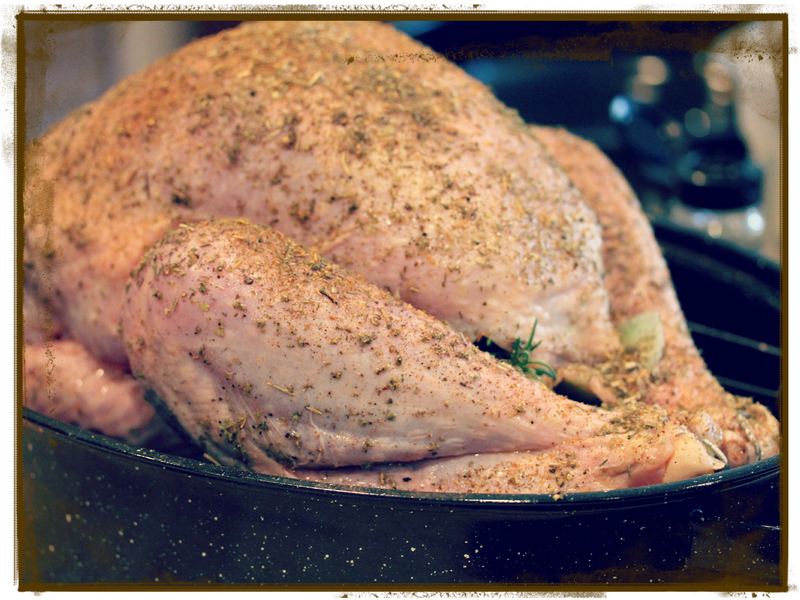 The turkey, massaged with olive oil, sage, thyme, salt, & pepper, ready to go into the oven. Oh, how I love a crispy skin on my roast poultry! The pies…legendary, delicious, and made with lots of love.